One of the truly important aspects of living off grid is in knowing how to produce the power you need to enjoy at least some common creature comforts. There are several options for doing this as I will explore in this section of the website. 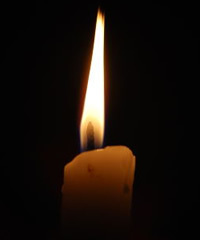 Of course you could become a total hermit and exist on little more than candles or gas lamps to light your dwelling when it gets dark at night. But these days it is actually very easy to generate your own electricity and store it for use at night to power low energy light bulbs that produce much more illumination. Understanding the ins and outs of energy is a powerful educational plus in this day and age where energy usage is at an all-time high while the natural resources we have are dwindling. Finding alternatives to keep the wheels of industry and transportation turning is a high priority. The person who comes up with the most effective, efficient and, above all, cost effective alternatives will be a revered genius for sure. But right now, the main emphasis on all devices that use energy is to make them so they use less to perform the same or better task. This is already happening in the technology industry where leaps and bounds are being made in progress. The auto industry has been slow to find alternatives to oil based fuels, but it is getting there with the development of newer, high capacity battery storage units that can take a faster charge and store more power than ever before. Electricity generation and use is still a major energy drain on most developed nations around the world. It is the areas of solar powered energy generation and other renewable energy sources such as wind power where Europe is leading the way and leaving the United States far behind. Photovoltaic panels are being made ever more efficient and able to generate more power from the sun. Wherever the sun shines in sufficient quantity, solar panels can produce electricity for a home. In places that don't get so much sun, it is quite usual to find that there is plenty of wind in its place. While this may mean less reliance on photovoltaic electricity production, there are wind powered turbines that can replace them. Wind turbines in "wind farms" generate huge amounts of electricity to power whole towns where 20 years ago almost every country was reliant on fossil fuel power stations or nuclear power. 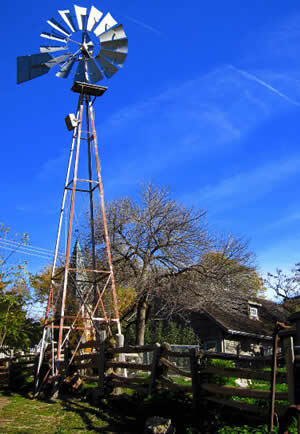 For the homesteader, a single wind turbine could provide much of not all of the power they need. We have the knowhow and technology to be able to produce a large percentage of our total power needs with renewable sources. This makes it a lesser impact on the environment to allow homes to still be able to be heated with electricity based heaters, cooled with energy efficient portable air conditioning units and run all the appliances and gadgets that we all now rely so heavily on. For the off-grid dweller, small scale power generation using renewable sources and conserving what power is produced is all about applying the knowledge and making use of the technology that is available now. There is really no need to ever have to resort to lighting a home with candles or fumbling around in darkened rooms any more.